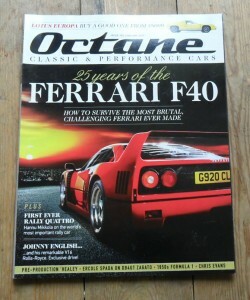 January 2012 of the British Magazine, Octane. 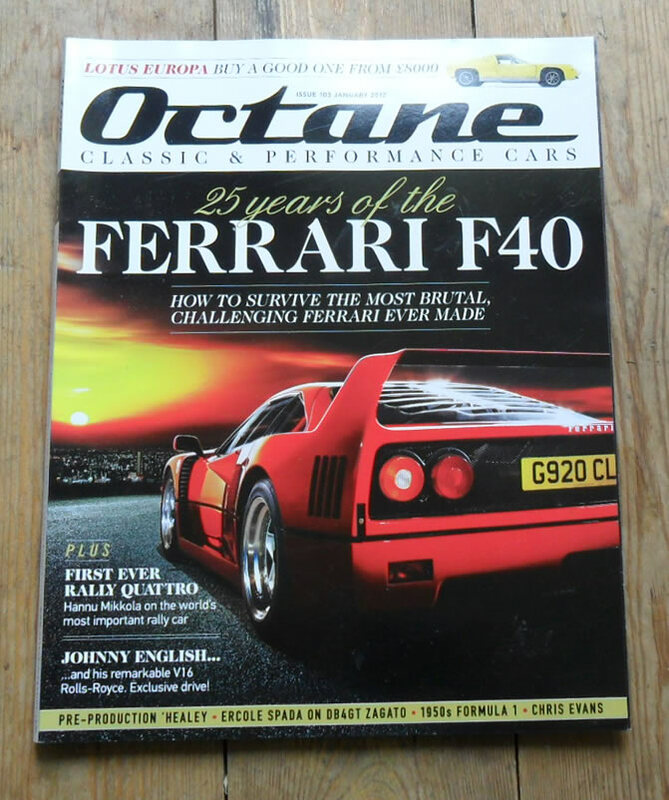 The cover feature of this issue is the Ferrari F40. Other articles include items on the Austin Healey 100, Borgward RS, Miller Indy Car and many more.